A new report published by International Partnership for Human Rights (IPHR) documents evidence of international crimes and violations of fundamental rights taking place on the territory of the Crimean Peninsula from the onset of the Russian occupation in February 2014. The report, International Crimes in Crimea: An Assessment of Two and a Half Years of Russian Occupation presents and analyses evidence collected by IPHR and other international and non-governmental organisations using the framework of the Rome Statute of the International Criminal Court (ICC Statute). The report concludes that there is a reasonable basis to believe that war crimes and crimes against humanity, as defined by the ICC Statute, have been committed in Crimea. In late February 2014, armed forces of the Russian Federation supported by proxy paramilitary groups invaded Crimea – sovereign territory of Ukraine – in violation of the prohibition on the use of force enshrined in the UN Charter. The invading forces quickly established control and authority over the Crimean Peninsula, expelling Ukraine’s civilian and military authorities. On 16 March 2014, the occupying authorities held what is widely considered to have been an illegal and non-binding referendum on the independence of Crimea and Sevastopol from Ukraine. On 18 March 2014, self-proclaimed representatives of Crimea and Sevastopol signed an agreement with the president of the Russian Federation for the integration of the peninsula into the territory of this country. Most of the international community have refused to recognise the legality of the referendum and subsequent annexation. 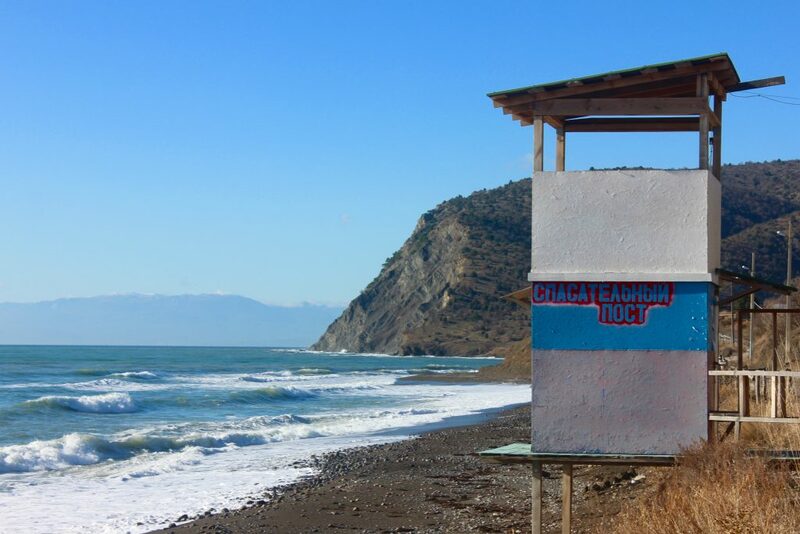 The territory of the Crimean Peninsula remains under Russian occupation. The new report, which was prepared by IPHR together with SOS Crimea and the Truth Hounds in the framework of the Civic Solidarity Platform (CSP) and presented at a side event held at the OSCE Human Dimension Implementation Meeting (HDIM) in Warsaw today, documents evidence of a series of human rights violations perpetrated in Crime since the onset of the Russian occupation. These include: seven murders, 15 enforced disappearances, 90 cases of illegal detention, 36 cases of torture and/or other forms of inhuman and/or degrading treatment, widespread appropriation of public and private property, and the forcible displacement of up to 60,000 civilians. The primary targets of these human rights violations are Crimean Tatars and Ukrainians identified by the occupying authorities as opponents or critics of the occupation. The cumulative effect of these crimes and other severe deprivations of fundamental rights may be characterised as persecution perpetrated against Crimean Tatars and Ukrainians on ethnic, political and/or religious grounds. In September 2015, the Ukrainian government submitted a Declaration to the ICC, accepting the jurisdiction of the Court for the purpose of identifying, prosecuting and judging the perpetrators and accomplices of acts committed in the territory of Ukraine since February 2014. On the basis of this Declaration, the ICC has jurisdiction to investigate and prosecute crimes set out in its Statute that have taken place on the Crimean Peninsula during the period of Russian occupation. On the basis of its analysis of the documented evidence using the framework of the ICC Statute, IPHR finds that the human rights violations set out in the report took place in the context of and was associated with the occupation, and/or took place as part of a widespread and systematic attack on the targeted civilian population. Consequently, we submit that there is a reasonable basis to conclude that war crimes and crimes against humanity have been committed. According to our analysis, the individuals that bear the greatest responsibility for the violations presented in the report are the leading figures of the occupying authorities and proxy paramilitary groups. Moreover, we submit that any potential cases emanating from the evidence set forth by IPHR will satisfy the three admissibility criteria inscribed in the ICC Statute – complementarity, gravity and the interests of justice. Pursuant to the common aspirations of peace, security and justice, it is imperative to conduct full and thorough investigations into these events and bring those responsible for committing international crimes to an independent and impartial trial guaranteeing the full respect for fundamental fair trial rights. To this end, IPHR will file an Article 15 Communication, together with all evidence supporting the findings in this report, to the ICC Prosecutor.